With that being the norm of the present generation for both business and leisure purposes, the mode of transportation becomes crucial and there is no doubt, whatsoever, aviation scores over everything else. And, if one has to reach inhospitable locations, the unconnected regions and places where regular modes of transportation have their own set of challenges, then helicopters come into play. In Asia, the need to connect vast areas of unconnected regions is more than on any other continent. 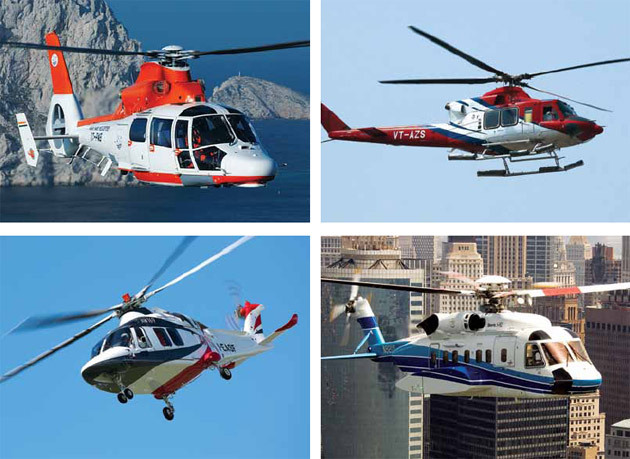 With this growing need, the region is becoming an attractive market for manufacturers of helicopters and the many surveys by different institutions have one thing in common — highlighting how the helicopter market is growing at a fast pace and have a distinct edge over other carriers. Various surveys have given different estimates on commercial helicopter deliveries, but they all remain positive about the Asia-Pacific region, which has many areas that are poorly connected or not connected at all by any kind of air transportation. Ascend Consultancy, part of Flightglobal, has predicted that Asia-Pacific’s share of commercial helicopter deliveries will rise to 37 per cent in 2025 from 26 per cent in 2015. The survey pointed out that helicopters for business/private use would dominate with 33 per cent of deliveries, followed by utility/multi-role helicopters at 22 per cent and offshore support with 13 per cent. In the Asia-Pacific, utility helicopters accounted for 26 per cent share, closely followed by business/private use at 25 per cent. The other segments such as Medevac, law enforcement and VIP movement were all in single digits. Sharing the survey details was Chris Seymour, Head of Market Analysis at Ascend, recently ahead of the event Rotorcraft Asia, a civilian helicopter trade show being held from April 18 to 20 this year in Singapore. In Asia-Pacific, Australia has about 2,000 helicopters, while neighbouring New Zealand has some 800. China and Japan also have about 800 helicopters each with the former growing exponentially, thanks to the rapid sales of civilian/parapublic helicopter fleet. India has a helicopter fleet of 300, which is expected to go up to 800 in the next decade. 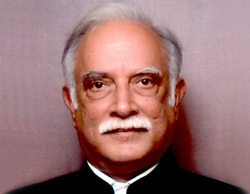 State-owned Pawan Hans has the largest helicopter fleet with 50 in India. Dennis Lau of Ascend Consultancy has said that Asia-Pacific’s commercial helicopter fleet has grown 64 per cent since 2005 and there are over 6,000 helicopters in service by either civilian or government operators. Meanwhile, Hong Kong business aviation consulting firm Asian Sky Group (ASG) is releasing its highly-anticipated year end 2016 Asia-Pacific Civil Helicopter Fleet Report. This is the fourth consecutive year ASG has produced the report and it again features a detailed breakdown of the Asia-Pacific helicopter fleet (excluding pistons) by fleet size, replacement cost, mission segments, size categories and original equipment manufacturers (OEMs). The 2016 Report also includes a section on offshore activity, discussing the continued impact of the oil and gas downturn on the civil helicopter market and an in-depth section on the Asia-Pacific’s fastest-growing civil helicopter market, China. The newest addition to this year’s report is another first by ASG — a section on the helicopter leasing market in the Asia-Pacific region. This new section examines the reasons for leasing, types of leases available and provides a breakdown of leased helicopters by lessor and country. The report spotlights a number of operators and OEMs in the region. ASG has featured operators HeliKorea, China Southern Airlines General Aviation Limited and the Leonardo Company. Also spotlighted are the Leonardo AW169 and AW189, all of which have been highlighted for their multi-mission configurations and popularity within the region. ASG said that the Asia-Pacific civil helicopter fleet (excluding pistons) numbered 3,924 at the end of 2016, an increase of 4 per cent over year end 2015. This increase is notably smaller than in past years, with only half of the 34 countries experiencing yearon-year growth. China remained the region’s growth driver — as it has for the past few years – adding 85 helicopters in 2016, an increase of 21 per cent year-on-year. The Asia-Pacific region’s fleet continues to be largely positioned in four countries. In unit terms, 61 per cent of the helicopter fleet is based in Australia, Japan, China and New Zealand. Australia represents the largest market overall and is the largest market for Bell, followed by Japan, the largest market for Airbus and Leonardo and China, the largest market for Sikorsky. New Zealand follows these three, with the largest market for MD. In terms of replacement cost, the ‘big four’ OEMs — Airbus, Bell, Sikorsky and Leonardo — collectively make up nearly 90 per cent of the market, with Airbus at 43 per cent and the other three, making up 47 per cent. Presently, the Asia-Pacific fleet includes a wider variety of helicopter mission profiles than ever before, with 54 per cent of the fleet in multi-mission use, followed by 12 per cent for corporate and private, 9 per cent for offshore operations, 7 per cent for search and rescue and 5 per cent for emergency medical services. In replacement cost terms, offshore has become the largest segment, with 21 per cent of the fleet, followed by search and rescue (SAR) at 11 per cent. A more recent shift in the Asia-Pacific fleet has been the usage by local operators of aircraft dry-leased from dedicated helicopter leasing companies. By the end of 2016, Asia-Pacific’s operators were using over 170 helicopters dry-leased from third parties, with a replacement cost value of approximately $1.5 billion. Australia had the largest number of leased helicopters at 60, operating in a variety of roles from offshore, emergency medical services (EMS) and multi-mission. India follows with 28, used mainly in the offshore segment and Indonesia is next with 25, with the majority used for multi-mission operations. The largest lessors in the Asia-Pacific region include Milestone Aviation Group, Waypoint Leasing, Australia & New Zealand Bank (ANZ), Airwork NZ, Lease Corporation International (LCI) and Eagle Copters. “With each issue of the Asia-Pacific Civil Helicopter Fleet Report, ASG better understands the data and information that readers and the industry need,” says ASG Managing Director Jeffrey Lowe. “The report is constantly evolving and the Helicopter Leasing Market Overview is an example of that. This a section the industry will find insightful, as this data is limited and often inaccessible. Overall, the report continues to provide relevant information and has become an indispensable source on business aviation within the Asia-Pacific region.” The Asia-Pacific Civil Helicopter Fleet Report will be distributed in the Asia-Pacific region with a Chinese version made available in China. For the full report, visit the ASG website www.asianskymedia.com. Similarly, Honeywell Aerospace in its 18th annual Turbine-Powered Civil Helicopter Purchase Outlook, Honeywell forecasts 4,300 to 4,800 civilian use helicopters will be delivered from 2016 to 2020, roughly 400 helicopters lower than the 2015 five-year forecast. Its forecast is in the background of a slower global economic growth environment and increased volatility in oil and gas-related markets, the helicopter industry is reacting with a cautious outlook for nearterm new purchases. The Honeywell survey showed new purchase-plan rates were stable, but operators cited fewer total new model purchases over the five-year period, leading to a more cautious near-term outlook. When considering a new purchase, operators’ results mirrored those from last year, with make and model choices for their new aircraft most strongly influenced by range, cabin size, performance, technology upgrades and brand experience. Helicopter fleet utilisation generally declined when compared with that of the year gone by. Over the next 12 months, usage rates are expected to improve but at a reduced rate. It said that the demand for helicopters in Brazil, Russia, India and China (BRIC) continues to ebb and flow, with stronger results recorded for India and Brazil in the 2016 survey. In India and Brazil, new helicopter purchase plan rates exceed the world average by a wide margin. Planned Chinese purchase rates slipped, reflecting near-term slower economic growth prospects. Notably, no Chinese-built models received specific purchase interest mentions in the survey. However, civil deliveries are being made and have been reflected in the Honeywell outlook. India’s civil aviation market is soaring and is among the fastest growing in the world with over 20 per cent growth. 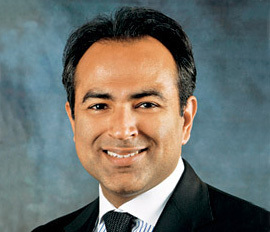 It is expected to reach the third spot in world aviation markets in the next five years. However, helicopter usage has not grown at the same pace as airlines. It was in 1986 that helicopters got a boost in India when the Helicopter Corporation of India was set up. It was later rechristened as Pawan Hans Helicopters Ltd. which has the highest rotary-wing fleet in the country. India accounts for less than 1 per cent of the world helicopter population with about 300 choppers. India currently has fewer civil helicopters than Switzerland. Hopefully, all this will change as the government led by the Prime Minister Narendra Modi that is working towards transforming the skies through all modes of aerial transportation. And a number of OEMs have or are in the process of establishing joint ventures to start local production here, thus giving them an edge as they compete to win orders here. 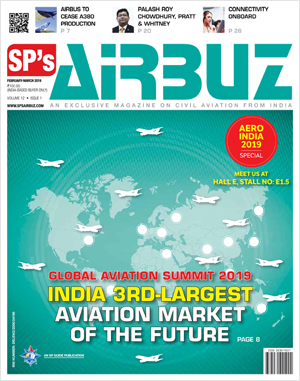 The plan of the government to enhance regional connectivity is opening the aviation sector for all categories of aircraft — be it rotary- or fixed-wing. Performance criteria of the helicopter in terms of speed, range, safety and reliability, hot/high capability, cabin size and brand experience are the reasons why operators look at certain brands. Some of the sought after choppers are Eurocopter’s EC 130/AS 350, Bell 407, Robinson R-66 and AgustaWestland’s AW109, which are operational in India. The next category is the intermediate/medium twinengine helicopters and they include AW139, AW169, Bell 412, EC 145 and Sikorsky S-76. These types of helicopters are more in demand in the oil and gas arena and are certainly more expensive to operate whereas the heavy class of helicopters is mostly in use in defence. With the government trying to address policy issues and trying to ease regulatory bottlenecks, it is hoped that the Indian aviation market, irrespective of the aircraft, will get a boost. However, the high cost of operations holds back the segment. Aviation turbine fuel, customs duty for import of helicopters/spares and application of fixed-wing air traffic rules to helicopters have stymied the growth of civil helicopter industry to a large extent. Another major problem is lack of infrastructure. While the scope of operations and utilisation for commercial helicopters is vast, the requisite infrastructure is almost non-existent both in the metros and remote areas. Projecting that the number of civil helicopters in India will increase by nearly threefold to 800 in next 10 to 20 years, the Centre for Asia Pacific Aviation (CAPA) said that the government’s ambitious ‘Make in India’ programme coupled with strategic initiatives could make this growth happen. According to CAPA, almost half of this projected requirement would be needed for providing regional connectivity, which is one of the focus areas of the new National Civil Aviation Policy. One of the first signs is that India finally gets an exclusive heliport. Inaugurated this year, the Rohini facility is India’s first integrated facility for rotary-wing aircraft including their landing and take-off. It has a terminal building that can cater to 150 passengers per day besides separate air traffic control (ATC), fire and fuelling services. In February 2016, Pawan Hans carried out trial sorties from the heliport and has planned to go for full-scale chopper operations from May onwards. This is expected to reduce congestion at the Delhi Airport that currently handles about 40 to 50 helicopter arrivals and departures on an average per day besides the large-scale fixed-wing operations. Despite these regulatory and infrastructural issues, due to its vast area and varied terrain, India is a helicopter country. And this throws open enormous opportunities to expand economic activity!